Your annual boiler service. We can legally and professionally service your gas boiler. Helpful Plumber are certified Gas Safe engineers (number: 550020) with over 10 years experience of installing boilers, central heating facilities and gas appliances. The gas safe register is the official and legally recognised gas registration body – replacing the previous registration body (1/4/2009) that was CORGI. This means, that anybody who works with gas or comes out to look at your boiler to service, repair or install a new boiler has to be “gas safe” accredited – it is illegal for anyone without these accreditations to work with gas. Employing a gas safe engineer for all your boiler servicing Bromsgrove or boiler repair Bromsgrove requirements, will ensure the safety of both your property and your family. Employing or allowing someone who is not accredited or trained to work with your gas supply could lead to improperly installed and/or poorly and erroneously serviced gas appliances. This in turn could lead to any number of serious events including gas leaks, gas explosions and/or even carbon monoxide poisoning. In the UK, the health and safety executive is responsible for regulating all gas safety and it is the same executive who over sees the gas safe register (the accreditation that any body whom works with gas must have). The executive strenuously recommends that any gas appliance or gas boiler is serviced by a gas safe accredited and registered engineer at least once every 12 months. Much like a car MOT – it is absolutely necessary to ensure that all of your gas appliances are operating both safely and efficiently. 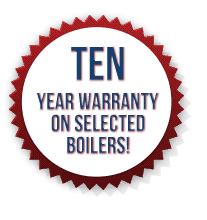 So if you adhere to this legislation you should only require boiler servicing Bromsgrove once every 12 months. Each gas appliance service will include the checking, testing, cleaning and fault finding to identify any irregularities with either your boiler or any other gas appliance. You may be unaware that your appliance isn’t working safely or effectively. There are thousands of people (of all ages) in the UK that suffer from serious illness or even death due to gas related illness such as carbon monoxide poisoning. 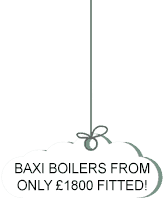 Our boiler service starts from only £80! What an Annual Boiler Servicing Bromsgrove service includes and is it necessary? If you have a modern boiler the safety and effective operation of the boiler may primarily be concerned with an d determined by the analysis of the flue gasses. This means that if the “gas combustion analysis” reveals that everything is as expected and the boiler is working properly – then further dismantling of the boiler will not be required. If the customer has lost the original instructions or your boiler is no longer in production – then the manufacturer may have ceased support and replacement instructions will not be available. Under these circumstances – your gas engineer (hopefully the helpful plumber :-)) will follow a specific, standard set of servicing instructions that will include: checking, cleaning and various testing procedures. After following these standard procedures the helpful plumber will legally only supply the customer with a receipt for an ‘Annual Safety Check’ rather than an ‘Annual Service’. The Helpful plumber is very experienced and our experience really aids our customers because we have assembled and put together a multitude of manufacturer service manuals meaning that the vast majority of our customers will have their boiler fully serviced opposed to checked. 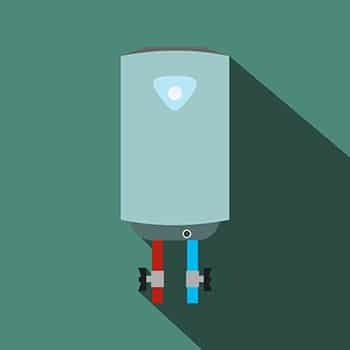 Is an annual boiler servicing Bromsgrove service sufficient or do I need breakdown cover?